BRANSON, Mo. 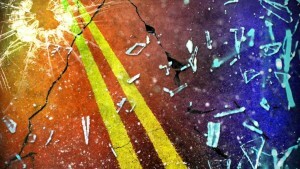 – Two men from Branson are hurt in a single vehicle crash near their hometown early Sunday morning. The Missouri State Highway Patrol reports 30-year-old Nelson Frausto was traveling northbound on T Highway, just east of Branson at 1:35 a.m.
That is when troopers say the vehicle went off the roadway and overturned. A passenger in the car 29-year-old Jorge Frausto suffers from moderate injuries, according to the report. Nelson Frausto received minor injuries. Troopers say both occupants went to seek their own treatment. Authorities say both men were wearing seatbelts at the time of the crash.